Managing Through the Rear-View Mirror? Annual or semi-annual performance appraisals continue to be a standard component of many performance management programs, despite the fact that they are deemed a source of angst and dread by both managers and team members. Consider that an annual or six-month review is very much like managing through a rear-view mirror, as the practice involves looking back at a person’s performance with the intent of identifying deficiencies and, hopefully, areas of accomplishment. While this may be a standard approach, the practice does little to impact day-to-day activities that, if modified on a timelier basis, could have positively impacted outcomes. And all these years later, Deming’s comments ring true. For example, when a bank implemented formal performance appraisals that evaluated Loan Officers on the dollar value of loans approved, and measured the Credit Department on ‘the quality of the loan portfolio’ (i.e. no defaults), it reduced profits and created dysfunction and animosity. The Credit Department was careful to take no risks, while the Loan Officers focused on quantity, hoping that something, at least would be approved. The bank as a whole suffered. In addition, many people report that reviews tend to be late and are often “put off,” thus sending a poor message to team members (i.e., “you’re not as important as other things…”). They are also considered among the more onerous of management responsibilities, as it can be difficult to access relevant performance-related data that dates back a full year. One way to improve the effectiveness of performance reviews is to increase the frequency – possibly from annual to quarterly or bi-monthly. A number of managers and HR professionals we have spoken with said the shortened time-table tends to improve feedback discussions and results in more meaningful and less stressful exchanges. In addition, the enhanced time-line reduces the ‘rear-view mirror’ effect described above, and separates performance evaluations from pay raises. Certainly studying work and work processes on a more frequent basis is more closely aligned with a Continuous Improvement philosophy. Our previous two posts focused on the decision-making process, as outlined in a Wall Street Journal Article by Robert I. Sutton, a professor in the department of management science and engineering at Stanford University. The premise is that “how” leaders make decisions is just as important as the decisions themselves. Moving too fast: While some leaders suffer from indecision and procrastination, some decisions require more careful thought— “especially risky, important and complicated ones that are costly (or even impossible) to reverse,” Sutton says. Despite the fact that employees most often like working with managers who are confident and don’t waste time, they are also leery of snap decisions, which are likely to turn out wrong. These decisions are also more likely to undermine employees’ faith in their leader and the decision, and can make employees less motivated to implement the decision. It’s the difference between a smart, confident decision and a rash one, possibly made without proper research or without sufficient facts and data. 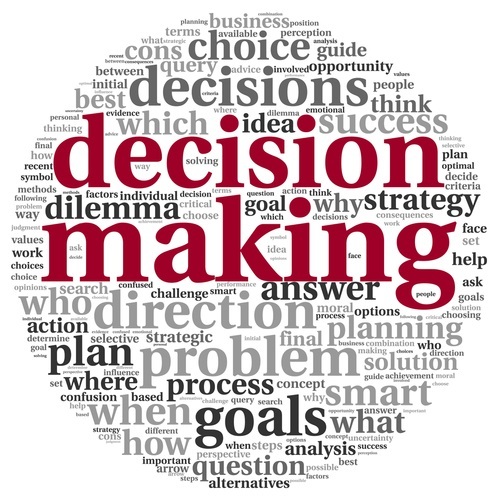 Using decision-making as a substitute for action: “A decision by itself changes nothing” says Sutton. Simply “deciding” to change a protocol or process doesn’t help unless someone actually does it! The gap between “knowing” and “doing” is real, yet too many leaders act as if, once they make a decision, and perhaps spread the word, their work is done. Several past posts have referenced the fact that strong, effective leadership is a “must” if we hope to build and sustain a culture of continuous improvement… a culture rife with innovation and high-levels of engagement. Innovation, change, continuous improvement, and engagement only take place when leaders empower people at all levels to unleash their creative skills, seek new and better ways of improving their work, and share their passion about what can be accomplished. Strong leaders provide the initial and ongoing energy for change, and people will only follow leaders if they trust them, if they see the need for change, if they believe change will benefit “all” parties, and if they are involved in creating the change. While two of last year’s posts identified specific steps managers can take to develop and sustain a creative culture and also a culture of continuous improvement, there are also behaviors that organizational leaders must avoid. In a recent SmartBrief article, John Stoker, Author and CEO of DialogueWORKS, Inc., shares several pitfalls that can result leaders undermining their credibility and effectiveness. “You can tell me anything, but…!” This statement is made (without the “but”) to solicit input or feedback on a particular idea or course of action. But, sometimes leaders will completely discount the idea or opinion offered, especially if it’s something with which they don’t immediately agree. Coercing support. Sometimes in an attempt to win approval for an idea or decision, leaders will say something like, “I need you to support my position today in the meeting. You have to back me up!” Often there’s an implied, “Or else.” Such behavior destroys candor, honesty and team morale. Solicitation without action. 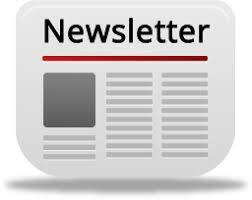 Simply stated, solicitation implies action. When a leader asks for ideas or solutions, it is implied that the leader will do something with the ideas or solutions that are provided. This doesn’t mean that a leader has to implement or take action on every idea that is offered, but it does require that the leader share what they might do and why. This reinforces the importance of contribution and collaboration. To solicit ideas or solutions and then do nothing signals to individuals that their ideas are not important. Do this, and it won’t be long before people quit speaking up or offering ideas. Manipulation. Sometimes a leader will ask people for ideas and then use them as evidence that the leader’s original idea was the best idea. This ends up feeling like manipulation. If leaders ask for ideas, then they should be open to exploring those ideas. Giving feedback at the wrong time and in the wrong place. The proper place to give any kind of negative feedback is in private! Some leaders feel it is appropriate to give negative or critical feedback to a person on the spot and in front of others. Some of these managers have said that they like giving feedback in this way because it is motivating to others. But in reality, such behavior strikes fear into the heart of any conscious team member who learns to dread interactions with these managers or leaders. Sharing negative or critical feedback in front of others is highly disrespectful and does not inspire candor or openness. In fact, it will likely cause people to keep bad news to themselves and hide their mistakes. Our previous post referenced how high-achieving organizations are able to develop and sustain high performance cultures in which team members are engaged and highly-motivated. During a recent discussion with Continuous Improvement leaders, various approaches to the motivational component of performance management were shared. Some organizations focused on the individual quantitative measurements to motivate individuals and to encourage them to achieve important goals. For example, tying individual goals to the organization’s KPIs was cited as an effective way to align behaviors with goals and make sure everyone knows exactly what they are expected to do. However, others said that group rewards and recognition were more effective than individual metrics. For example, one participant described how teamwork deteriorated to the detriment of the organization as a whole after his organization switched to individual metrics and rewards instead of rewarding everyone based on achievement of the company’s key strategic metrics. We also discussed experience with financial rewards as opposed to intrinsic rewards, such as recognition. Financial rewards did not necessarily produce the best results. One participant explicitly pays people for participating on improvement teams in some of their plants, while one of their Midwestern plants is prohibited from paying for participation. The Midwestern plant relies on intangible rewards such as recognition and “thank yous.” Surprising to many, the Midwestern plant had a much higher rate of participation than the others, seeming to demonstrate that intangible or ‘intrinsic’ rewards can be more effective than monetary rewards. Another organization found recognition, sometimes coupled with small gift cards, was an effective method for their organization. Generally, it was agreed that the keys to effective use of recognition as a motivational method are timeliness and making the recognition public. One successful example involved a peer-recognition program, in which people were empowered to recognize one another by giving-out stars for helping an internal or external customer. When someone receives a certain number of stars, they get a gift card and the ‘star of the month’ gets a party, recognition, and a preferred parking space. It was noted that guidelines for the awarding of stars were set in advance. Another perspective relative to timeliness involved making motivational and performance management activities an “everyday job,” and basing strategies on more than just past data. 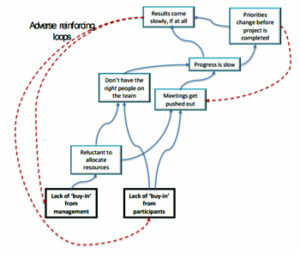 Over-reliance on past data when crafting improvement or motivational plans was referenced as working through the “rear-view-mirror.” A better approach not only enables managers to identify opportunities for team improvement based on analyzing past activities and results, but to also identify preemptive action steps and strategies that can impact outcomes and future results. Performance Management and motivation must be about much more than individual performance measurement. As Deming said, over 90% of problems are caused by the system not the person. To manage performance, we must manage the system by which people, plant, process interact to produce results. Frequent observation and feedback is more helpful to people than more formal annual reviews. Motivation and engagement levels were consistently rated as “much higher” when team members received frequent, consistent feedback on their work, and also when they felt they had input to improvement plans. 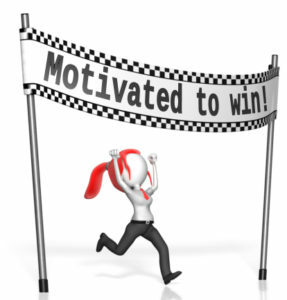 Intrinsic rewards tend to increase motivation over time as opposed to financial rewards. Recognition is among the most effective. The keys to effective use of recognition as a motivational method are timeliness and making the recognition public. Not long ago our Partners In Improvement forum met to discuss the common causes of failure in Continuous Improvement efforts . 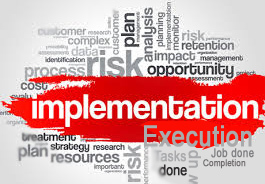 It was noted that when organizations embark on a path of Continuous Improvement, the effort is abandoned within a year or two in a high-percentage of cases. The Partners discussed what can cause improvement projects to fail to achieve their potential. While several challenges were identified, lack of buy-in from both managers and participants was identified as one of the most common reasons improvement efforts get derailed. becomes that priorities will change, or that new opportunities or problems will arise, thus decreasing available resources further. When projects fail to produce good results, buy-in can deteriorate rapidly at all levels within an organization as well. As people’s interest and confidence levels wane, projects can become “unpopular” or worse, and subsequent efforts become less and less likely to succeed. In our next post we will share some of remedies our Partners identified for maintaining higher-levels of buy-in for Continuous Improvement throughout an organization. 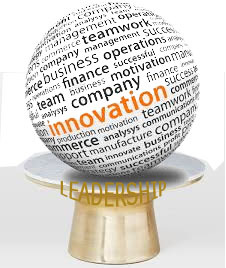 Tying recent posts together, and spring-boarding off a good comment shared about “the biggest waste lying in the ranks of poor leadership,” this post focuses on the critically-important role leadership plays in developing and sustaining a culture of innovation and continuous improvement. It requires powerful leadership skills to empower and unleash an organization’s creative talents and energy. In an organization without strong leadership, inspiring and empowering people to contribute their ideas innovations will be scarce. An innovative culture is not the default position — it must be carefully created. But empowerment, important as that is, is nowhere near enough. Leadership must also create a challenging vision around which to rally the organization’s creative energies. This vision must be grounded in a deep understanding of the market and of the daily struggles of the people who make up that market. Understanding the market is much easier for a small company where everyone deals with real customer needs every day. But as organizations grow, they expand like a balloon — more mass and less surface area. The surface area has the chance to get close to the external customer’s needs. So, as a company grows, leadership must maintain or create a mechanism that will ensure that an understanding of the customer’s needs can penetrate beyond the surface area into the heart of the organization. The same is true of internal functions that work together like a chain of customers. As organizations grow, departments grow and they too develop ‘more mass and less surface area’ — creating the familiar silo phenomenon. empowerment cannot succeed. It is too easy to become satisfied with a creative idea before it has been developed into something really workable. An organization that tries to empower innovation without creating the right market-driven constraints, can easily suffocate in an avalanche of incomplete or impractical ideas. Because they are not fully developed to address the real, but perhaps unspecified, constraints, the ideas cannot be implemented and quite soon people cease to feel empowered. This is a tall order, and it becomes easy to see why innovation isn’t easier to come by despite all the human talent and energy brought to bear. 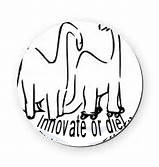 But creating an innovative culture is, in itself, a creative challenge. By increasing our understanding of the challenges and constraints, we increase our ability to focus our own leadership talents on the right things to make it happen. As a final component to our series of posts on the subject of innovation, today’s post focuses on the critically-important role of leadership. Given the challenges of creating a consistently effective innovative organization, nothing is more important than leadership, which is required to empower and unleash an organization’s creative talents and energy. An innovative culture is not the default position — it must be carefully created. But empowerment, important as that is, is nowhere near enough. Leadership must also create a challenging vision around which to rally the organization’s creative energies. This vision must be grounded in a deep understanding of the market and of the daily struggles of the people who make up that market — i.e., the market’s needs. In addition, understanding the market is much easier for a small company where everyone deals with real customer needs every day. But as organizations grow, they expand like a balloon — more mass and less surface area. The surface area has the chance to get close to the external customer’s needs, but leadership must maintain or create a mechanism that will ensure that an understanding of the customer’s needs can penetrate beyond the surface area into the heart of the organization. The same is true of internal functions that work together like a chain of customers. As organizations grow, departments grow and they too develop ‘more mass and less surface area’ — creating the familiar silo phenomenon. Finally, leadership of innovative organizations must, without stifling creativity, challenge the organization’s efforts with the necessary, market-driven constraints. Without the right constraints, empowerment cannot succeed. It is too easy to become satisfied with a creative idea before it has been developed into something really workable. An organization that tries to empower innovation without creating the right market-driven constraints, can easily suffocate in an avalanche of incomplete or impractical ideas.